– August 1, 2012Posted in: SusieQ FitLife Breaking News, SusieQ FitLife Updates! Michael Phelps & Gabby Douglas make History! 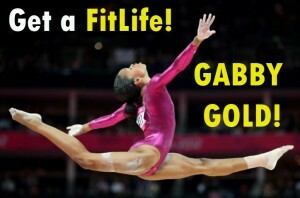 US Female Gymnastic Team Wins Gold! Going for GOLD! Phelps Continues to Make History! There’s an Olympic Athlete in all of us! Yet there’s no room for self-doubt! It is quite nerve racking to witness the best of the best Olympians, as 19 medal record breaking Michael Phelps (who’s still going for more) or the gold winning Fab Five U.S. Women’s Gymnastics Team who competed to win! OH BOY, did they ever finish with that golden touch! 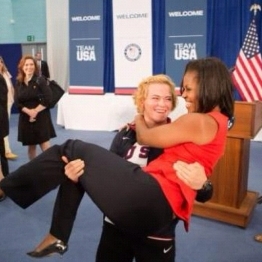 It all started with Michelle Obama being thrust into the air by U.S. Olympic Female Wrestler, Elena Pirozhkova; prior to the London opening ceremonies! Our First Lady is such a team player who is passionate about promoting health & physical fitness with the Let’s Move! Campaign. Mrs. Obama has been hugging and cheering on all of our U.S. athletes; as she has openly admitted to being in awe of the Olympians and everything they continue to achieve, during the Pre-Olympics Reception. History is still in the making for Michael Phelps as he will still continue to go for the gold again this week! Phelps is now wearing more silver & gold than any other Olympic athlete in the history, breaking a 48year old record (from Soviet gymnast Larisa Latynina, who won 18 medals from 1956-1964) by claiming 19 medals! Thanks to his incredible gold medal winning teammates, Ryan Lochte, Conor Dwyer & Ricky Berens giving him a huge lead in the Men’s 4 x 200m Freestyle Relay (completing the race under 7mins flat) at the London, England Aquatics Center! In the Heart & Mind of an Olympic Athlete! Winning Silver deeply hurts when you know you are close to the gold! Michael Phelps admits that In the 200 butterfly race that the last few meters by 0.05 of a second by gliding to the wall was a critical mistake. Phelps admitted that it was a habit he has tried to break & he was angry with himself. His coach, Bob Bowman knew he was pretty tired at the end but is still very proud of his star shinning student! Mr. Bowman, has done everything he can to push Phelps throughout the years from stepping on his goggles, so he could feel the pressure of battling discomfort to purposely picking him up late to make him miss dinner meal so he could swim hungry on an empty stomach. It all paid off, as Phelps has officially become the most decorated Olympian ever as he just earned 21 Medals to his title on Aug. 3rd in his most impressive race ever! Phelps was nearly dead last in the last half of the 100m race and still came out on top winning his 18th gold medal! 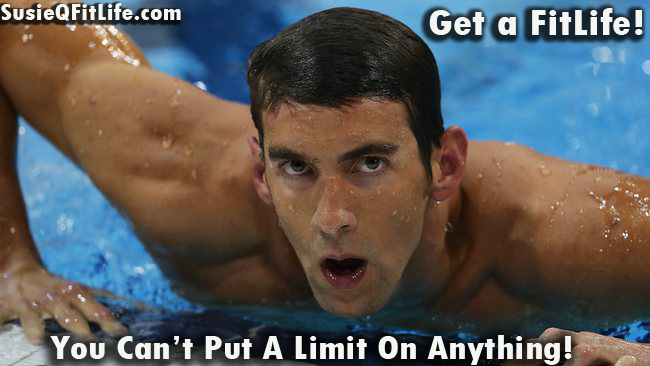 Michael says “You can’t put a limit on anything!”. The more adversities an athlete or individual is faced with, the more challenges they will be able to overcome in their FitLife! With tears of disappointment, Jordyn Wieber & the rest of the world cried as she did not qualify for the individual competition due to the “new” Olympic rules limiting entrants two per team. Jordyn still pulled it together with the rest of her incredible, show stopping teammates, Kyla Ross, Aly Raisman, McKayla Maroney & Gabby Douglas to round out the fabulous five! 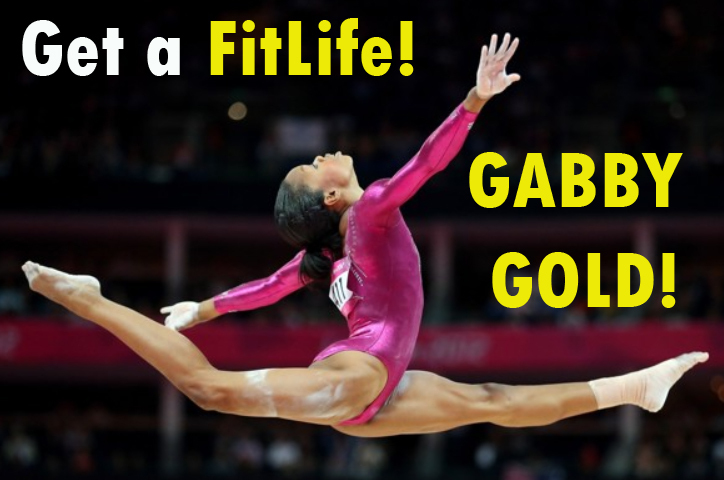 Gabby, 16yrs, also known as the flying squirrel, just struck gold twice and made history as the first African American to win the women’s all-around title & scored the 3rd gold medal in this title for the USA! One of the girls favorite quote that keeps them motivated to achieve greatness is “No fear, no pain, no mercy!” SusieQ FitLife will continue to empower people to be their ultimate best! Because it is all about YOU! It’s All About Your FitLife! In life it has always been said that there are three types of people in the world! Those who make it happen, those who watch what happens and those who wonder what just happened? Very few people in life won’t regret that they have spent too many hours watching TV; generally people may wonder what would happen if they took a chance on achieving a dream and dreaming BIG! Be inspired to live your FitLife to the fullest extent; because there are no limits to how far you can go! What will you do to begin your FitLife journey, TODAY? SusieQ FitLife would like to acknowledge the surviving family members of the 11 fallen Israeli athlete victims of the 1972 Munich Olympic Games Massacre, 40 years ago. In remembrance and with full respect! Michael Phelps is Outstanding! Winning 21 Olympic Gold Medals! This is an excellent posting SusieQ! There is nothing we cannot achieve IF we are willing to pay the price and do the work. Very inspiring message! 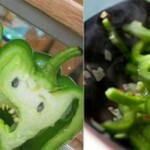 Scary Healthy FitLife Green Pepper Recipe!